On the fourth of June 1942 the Yiddish composer and folksinger Marcus (Mordecai) Birtig (b. 1877), known by his pen-name Mordecai Gebuertig, was murdered. Gebuertig, who made his living as a carpenter, composed songs and became one of the most well known Yiddish composers in the Jewish world. His song “Unzer Shtetl Brennt” (“Our little town is burning”) was written following the pogrom carried out in 1936 in the town of Przytyk in Poland. After the occupation of Poland by the Nazis, the song became a rallying cry for struggle among the youth of Cracow and among the mass of Jews throughout occupied Poland. In June 1942, Mordecai Gebuertig was murdered during the first round up of Jews in the Cracow Ghetto. Mordecai and his wife Bluma, had three daughters – Shifra, Chava and the youngest, Lola, born in 1917. Lola was accustomed to singing her father’s songs. At the beginning of the war Lola became engaged to Boas Leser, a native of Cracow born in 1914. When Mordecai and his wife were sent to the death camps, the three Gebuertig daughters were offered lodgings in a room belonging to Yaakov Leser, Boas’s older brother where they were employed in the cottage industry of bottling various foodstuffs such as tea and baking powder. The youngest Leser son, Shulem, lived there; he was one of the first to be taken for forced labor building the foundations of Plasow concentration camp. 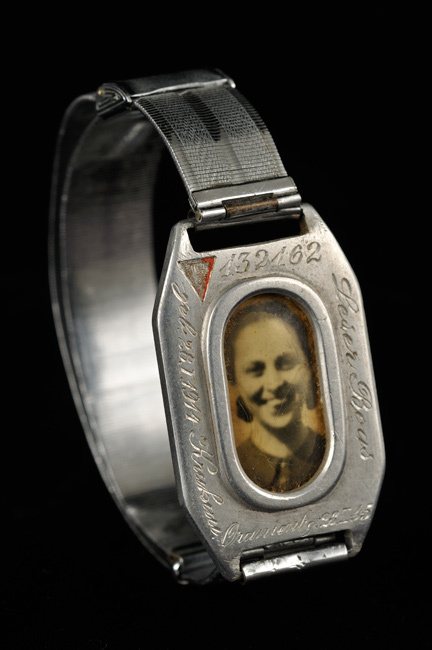 Their sister, Perla Leser, was among the first to be employed in Oscar Schindler’s enamel work factory, and thus she was able to survive the war. Boas Leser had been called up for service in the Polish army upon the outbreak of war. With the swift disintegration of the Polish lines of defense, Boas escaped with fellow soldiers to Lvov, then under Soviet control. In 1941, when the Germans captured Lvov, Boas decided to return to his family in Cracow. It was during this period that Lola and Boas became engaged, as Boas was living with his father nearby. In August 1944 Lola and her sisters were deported to Stutthof camp, where all three were murdered.